Ohana Festival 2019 is organized by Pearl Jam singer Eddie Vedder and surfer Kelly Slater. The lineup makes it a mostly indie rock and alternative music festival, with a little indie pop thrown in. 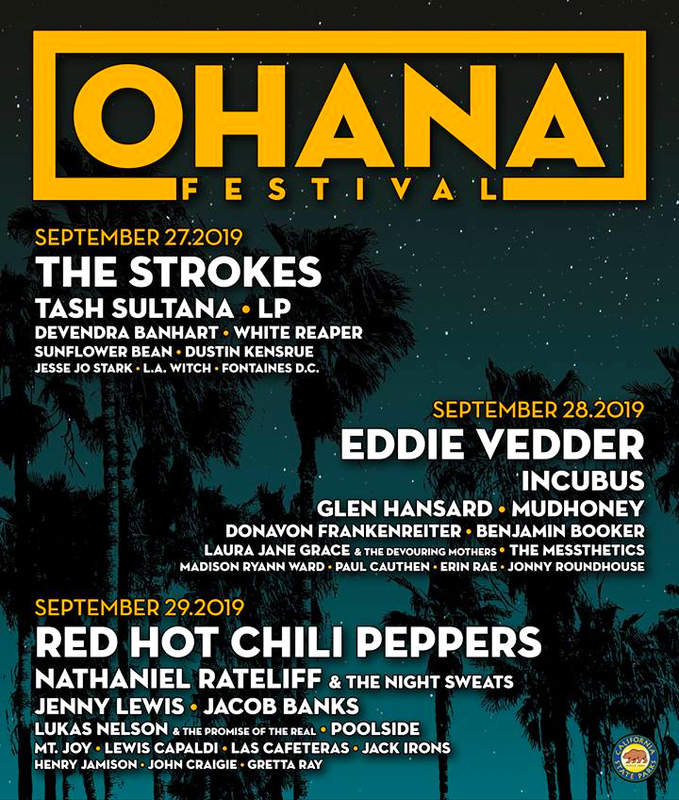 The Ohana Festival lineup features The Strokes, Eddie Vedder and Red Hot Chili Peppers as headliners! Tash Sultana, Incubus, Nathaniel Rateliff, LP, Mudhoney and Jenny Lewis also top the lineup! Ohana Festival tickets are now on sale! You can get day tickets or weekend tickets at both general admission and VIP levels. See the tickets section below for access. It happens at Doheny State Beach along with craft beer, wine, signature cocktails and artisan food. It's already happened three times as an event. Money from the festival is donated to develop, preserve and enhance parks via the San Onofre Parks Foundation. 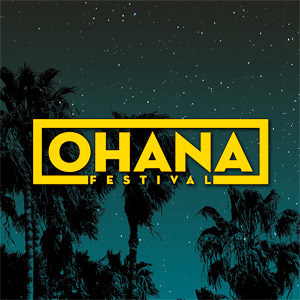 The Ohana Festival dates are September 27 - 29, 2019. The Ohana Festival 2019 lineup is out and Ohana Festival 2019 tickets are below! Ohana Festival tickets are on sale! Weekend tickets are on sale in both general admission and VIP tickets, although VIP is almost sold out. Single-day tickets are also available at both levels. The Ohana Festival lineup for 2019!